Lexmark-Kofax Capture automates and accelerates business processes by capturing all types of paper and electronic documents and forms, transforming them into accurate and actionable information, and delivering it all into your core business applications, processes and workflows. Whether your information is on paper or in electronic files, parked at a central office or scattered on desktops and remote offices throughout the world, Lexmark-Kofax Capture can help you handle it all. Offering unmatched scalability, Lexmark-Kofax Capture is a powerful, enterprise ready, production level capture platform. It captures information from virtually any source: scanner, multi-function printer, print stream, email, fax, web service or folder. It automates capture driven processes at the perimeter of the organization or wherever documents are received, regardless of the location, source, language or type. No matter what hardware or enterprise applications you choose now or in the future, you can count on Lexmark-Kofax Capture to ensure consistent document capture, indexing and validation of your important information. 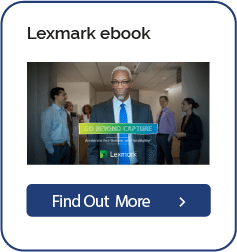 Lexmark-Kofax Capture is a powerful platform that provides a standard and consistent process for securely capturing all types of inbound documents and information at the perimeter of the organization or wherever they are received. Lexmark-Kofax Capture accelerates business processes by collecting documents and forms, transforming them into accurate, actionable information, and delivering it all into your line of business applications, workflows, repositories and databases. Whether your information is on paper or in electronic files, parked at a central office or scattered on desktops and remote offices throughout the world — Lexmark-Kofax Capture can help you capture it all quickly and accurately, ensuring complete chain of custody of the content and accelerating core business processes and solutions. Lexmark-Kofax Capture delivers powerful, production level capture of documents and data from virtually any source: scanner, multi-function printer, print stream, email, fax, web service or folder. For document capture, it boasts the fastest, most flexible scanning and indexing solution available. For data capture, Lexmark-Kofax Capture extracts important information such as machine printed text, bar codes, hand printed words and even checked boxes. Lexmark-Kofax Capture uses the same powerful indexing and validation process to capture information from electronic documents that doesn’t start on paper. That means your workflow or content management system receives consistently indexed content, regardless of the source or format, and your enterprise benefits from reliable, accessible, process ready data and documents. For many organizations, the initial receipt of a document is also the initiation of a process or transaction. Lexmark-Kofax Capture enables organizations to capture this content directly where documents are received — whether in the central office, remote branch or home office — and deliver actionable, process ready data to core business systems, archives and processes. With this flexibility, Lexmark-Kofax Capture delivers a single platform solution that leverages a single set of business rules, permissions, and security and job settings, regardless of the format, source, language or location where the document was received. Lexmark-Kofax Capture is an enterprise ready, modular application that can be used right out of the box to meet the capture needs of a specific department, and expanded to meet the complex requirements of a high volume, mission critical enterprise. From hundreds to millions of documents per day, Lexmark-Kofax Capture can capture it all. You can tailor Lexmark-Kofax Capture to support your precise business processes with dozens of plug-and-play modules — from automated document separation, to postal mail scanning, to automatic document classification, to powerful forms processing tools that extract information from even the most difficult documents. Or you can write your own. Lexmark-Kofax Capture’s flexible, open architecture makes it possible. Lexmark-Kofax Capture has more than 140 connectors to various lines of business applications, ECM, ERP, BPM and workflow solutions. It uses standard release scripts to connect seamlessly to business systems from IBM®, Oracle®, Microsoft®, Open Text®, Hyland®, Pega® and many others. Lexmark-Kofax Capture can also export to any ODBC-compatible database or to a delimited ASCII file. This flexibility makes Lexmark-Kofax Capture the standard front end for any system. Lexmark-Kofax Capture is also available in an enterprise edition that offers high availability and disaster recovery for mission critical implementations. Remote, real-time management of system performance enables you to handle exceptions quickly and meet throughput requirements. Lexmark-Kofax Capture easily extends capture throughout your enterprise by taking advantage of Terminal Services and Citrix® server technology, providing remote, on-demand access to Lexmark-Kofax Capture modules, and enabling the processing of more documents in less time via multiple-instance support. Additionally, Lexmark-Kofax Capture Enterprise Edition offers options for enterprise-class database management systems such as IBM DB2, Microsoft SQL Server Enterprise, and Oracle Database.